OpenInsight Git is an interface from OpenInsight to the Git source code management system. You can read more about Git on its web site at http://git-scm.com. OpenInsight Git’s philosophy is simple. It mirrors your OpenInsight source code, stored procedures, windows, messages, help, etc. as text files in Windows directories. From there, the Git source code management system (SCM) does the rest. Those of you that frequent the US website on a daily basis will not have failed to notice that there has been a subtle change – alright a huge change. The promised makeover has been completed and the site is now live. The new site has been written using JOOMLA and also incorporates Revelation’s O4W web technology. 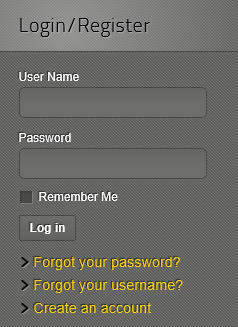 Existing users of the previous site should have already received an email with their User Name and temporary Password. Those credentials should be utilized to log into the new www.revelation.com either as a WORKS user or a Registered user. The login panel can be located at the lower left of the screen, which just happened to be off the bottom of the screen on my machine. Anyone else may become a Registered user by clicking on the Create an account link found on the left panel of the web site. Please note: If, like me, you were used to clicking on a page and having the site prompt you for a log in, things have changed and you will need to log in before trying to access any of the private areas. Those of you without WORKS log in details will also no longer be able to access the authorisation key request form and you will need to contact me if you are in the EMEA region for the time being.